Yesterday we posted that with the closing of Prime @ the Canyons, that was the closure of the only kosher restaurant in Park City, UT. We were wrong. Bistro Kosher Deli will be opening at the Canyons Resort in the Silverado Lodge, just as Bistro at Canyons did 5 years ago in the same location, opening date later this December. The restaurant will be offering innovative kosher cuisine during the week and traditional Shabbat meals on Friday nights. Also just announced: the St. Regis Deer Valley in Park City will be hosting a kosher restaurant pop-up later this December. Click for details. A shul is located directly adjacent to the restaurant. They request that you sign up for minyanim to ensure that they will have enough men. Shabbat meals are available for pre-order and must be ordered before Wednesday at 5pm on the same week the meal is needed. Call (855) 444-5674 for Shabbat dinner orders and info. 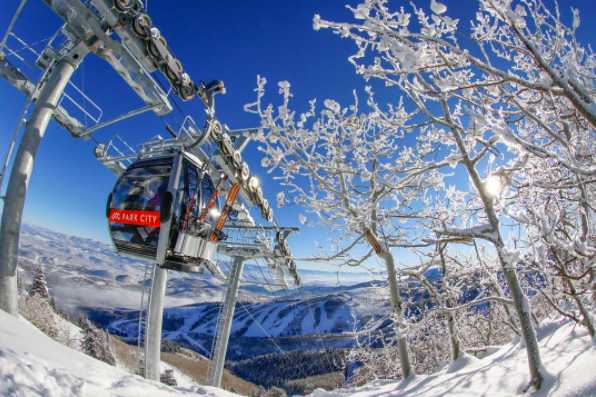 Additionally, the Canyons Resort boasts an eruv, checked weekly which includes the Silverado Lodge, Westgate Resort, Sundial Lodge and Grand Summit Hotel. The eastern wing of the eruv ends before Red Pine Road (the first road east of the Silverado parking lot). See eruv map image on right.